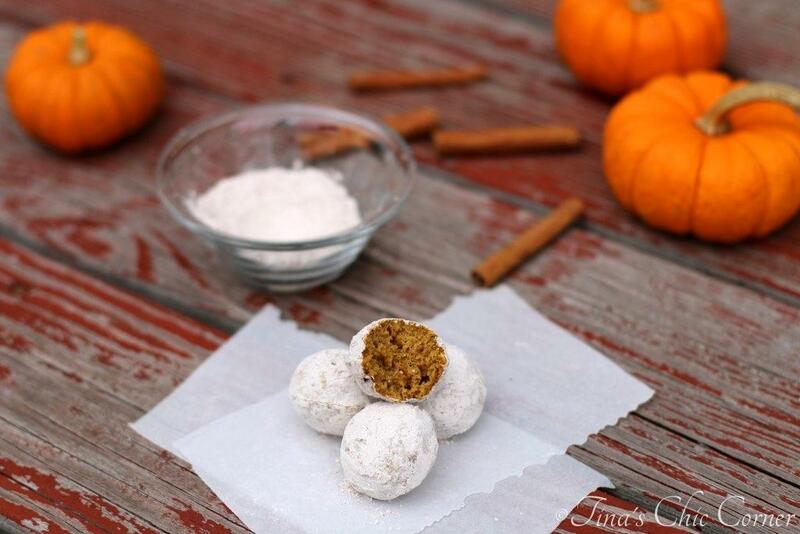 I love doughnuts and pumpkin flavor so these pumpkin doughnut holes are a match made in heaven. I’ve made Mini Powdered Sugar Doughnut Muffins and German Chocolate Cake Doughnuts. Both were based on recipes from Sally at Sally’s Baking Addiction. (She has a bazillion awesome recipes so you have to go check her out if you haven’t already.) These pumpkin doughnut holes are also a variation from Sally. She’s officially my “doughnut baking guru.” 🙂 Thank you so much, Sally! 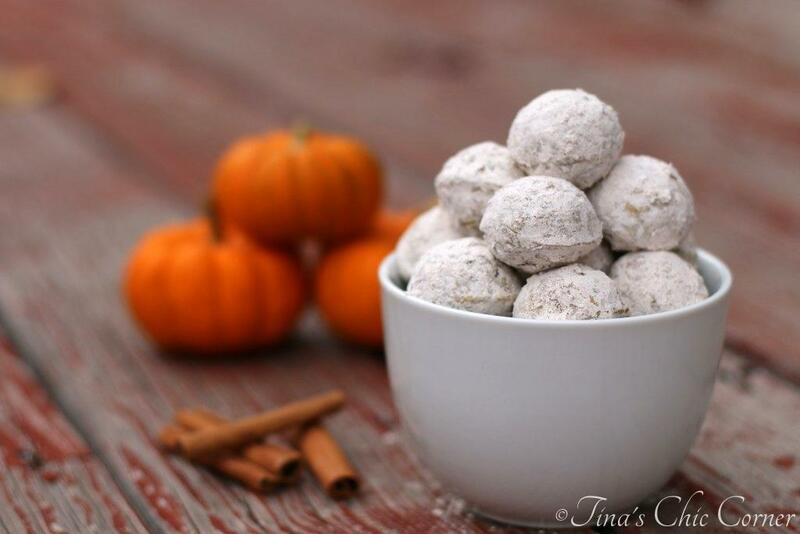 These doughnut holes are full of great pumpkin spice flavor and covered with cinnamon powdered sugar. 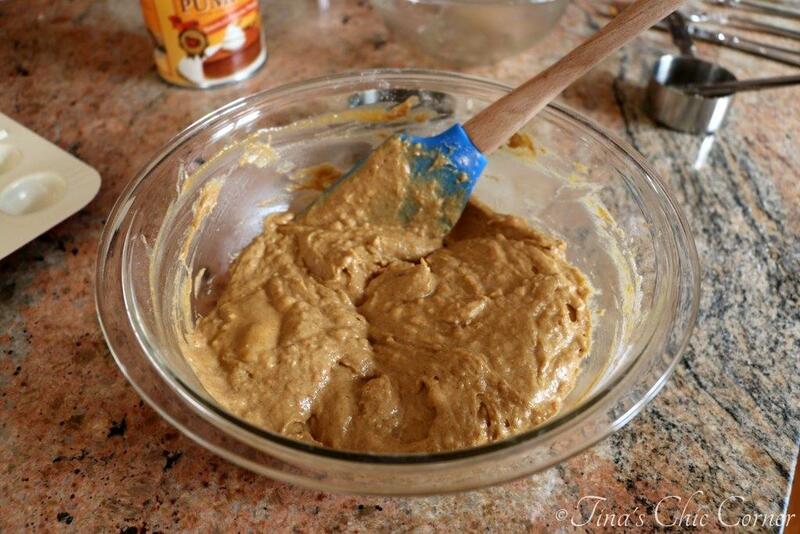 In a large bowl, whisk together the flour, baking powder, salt, cinnamon, pumpkin pie spice, and nutmeg. Set the dry ingredients aside. In a medium bowl, melt the butter and whisk together with brown sugar. Stir in the egg, vanilla extract, pumpkin puree, and milk. Pour the wet ingredients into the dry ingredients and stir together until just combined. Spoon the batter into the doughnut hole pan, filling it to the top (or about 3/4 full if you’re using a mini muffin pan). Bake them for 12 – 14 minutes, or until a toothpick inserted into the center comes out clean. In a bowl, pour the powdered sugar and cinnamon. 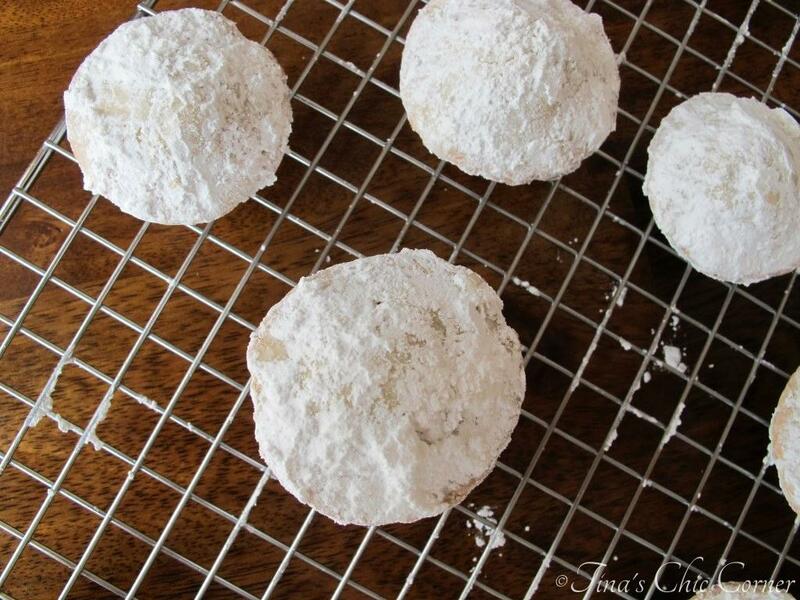 Once the doughnut holes have cooled, dip them into the cinnamon powdered sugar. * If you don’t have a doughnut hole pan then you can follow the same directions using a miniature muffin pan. I’ve seen bloggers post about recipes for “doughnut holes” using a mini muffin tin. I must be doing something wrong because mine never look round like theirs. Mine look like…wait for it, mini muffins. The perfectionist in me wants round ones, so I treated myself to King Arthur Flour’s Doughnut Hole Pan. You definitely don’t need a doughnut hole pan to make these fun pumpkin doughnut holes, but it sure makes them a nice and round. It’s official. I am prejudice to butter based doughnuts. All three of my doughnut recipes get most of their fat from butter. I tried one random chocolate doughnut recipe that used oil instead of butter and it ended up not being good enough to bother posting about. I did not like them because they were greasy and weird. To make matters worse, the type of glaze that was paired with the recipe made them soggy and gross. In the end they went right to the garbage can. These doughnut holes are the perfect flavored doughnut for this time of year. They have a hint of pumpkin flavor, but it’s their Fall-ish spices that give these bite size doughnuts their big flavor. They’re a tad more dense than a vanilla or chocolate doughnut, but I find that’s pretty typical for a pumpkin-y treat. These are baked and not fried. That’s a good thing because it does save you a bit of calories. 😉 However, because they are baked that means that their texture will resemble a cake instead of a doughnut you would get at a shop. That doesn’t bother me in the slightest, but I thought I’d put it out there. I’ll happily eat doughnuts anytime of the year, but for some reason they’re a comfort food that I crave during the colder months. Does anyone else feel the same way? Daylight savings time was put into law to make people fatter I think. A fan of doughnuts? You must try these awesome ones. The pumpkin is a great surprise when you bite into these. thx for sharing. I LOVE donut holes and made a pumpkin version earlier this year that were delish but if it’s Sally’s Baking Addiction then it’s probably better…and with your touch I KNOW it is! You’re too kind! Thanks Davida. 🙂 Have a lovely weekend. I made doughnut holes at home last month but they didn’t turn out nearly as good as yours!!! Yours look amazing! Obviously I need to get me a donut hole pan because I pretty much can’t go through fall without these in it! These look so dangerous. Powdered sugar is my downfall, too (puppy chow, anyone?! :) Anything pumpkin, anything donut, and I’m happy. Pinning these! You know, I’ve never made puppy chow. With my love of powdered sugar, I should reconsider that. 😉 I hope you’re having a lovely weekend, Mary Frances! 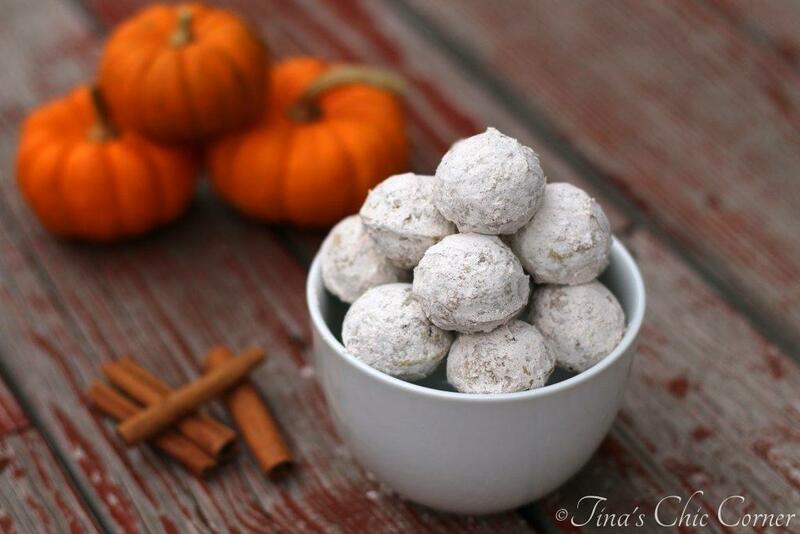 Oh my goodness Tina, I love the sound of these pumpkin donut holes and would surely eat a dozen at a time! They look incredible especially topped with the powdered sugar, yum – wish I had a batch of these for our breakfast this morning 🙂 Thanks for sharing, pinning! Hope you have a fantastic weekend! I love Sally too! 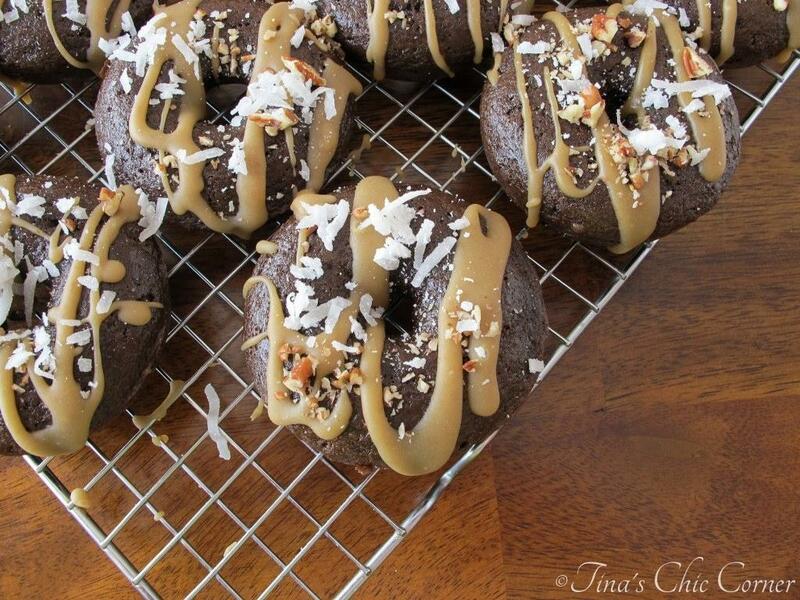 This donut version sounds delicious! Nice to meet a fellow Sally fan! Glad you like these donut holes. 🙂 Thanks so much for stopping by. 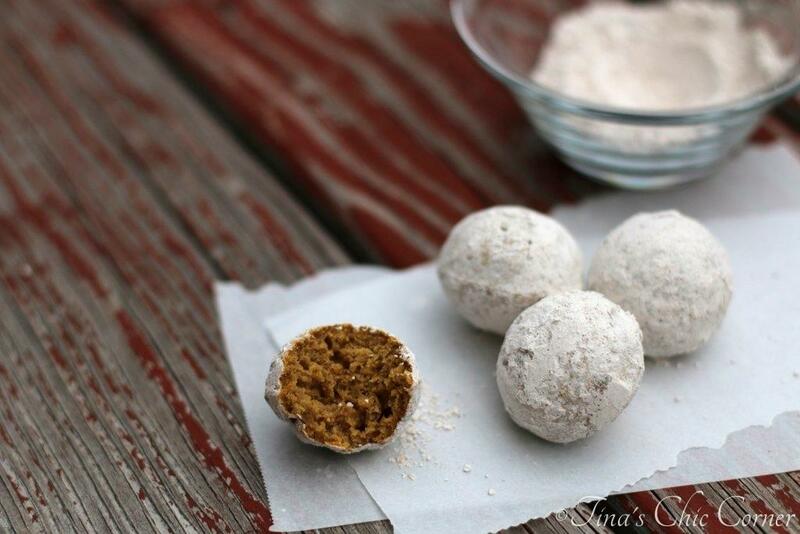 Donut holes with pumpkin flavor – I love it!! How cool, I had no idea there are donut hole pans! 😀 These are beautiful donut holes! I accidentally stumbled onto the donut hole pan and I’m so glad I did because now I’m addicted to making them! Pumpkin + donut hole = marvelous. 🙂 Thanks so much for stopping by. Thank you so much Gloria! That really means a lot to me. 🙂 You’re the best! 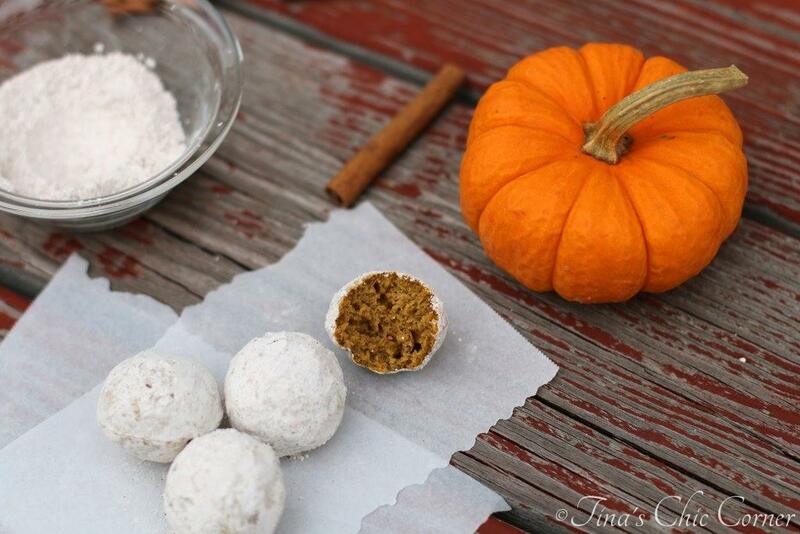 I love these donut holes as I have been craving powdered donuts, but with that extra pumpkin – super delicious! I’m always craving powdered donuts. Hehe. I’d want round doughnut holes too! Gotta get that pan. 😉 These look wonderful. And you can never use too much powdered sugar for me! Good stuff – thanks. These look oh so perfect Tina. Little bite sized fall treat – yum! I love pumpkin anything, but donut holes look especially enticing! Oh they are definitely addicting! You’re so right, I brought these to a family brunch and they were perfect to pop in your mouth. The only bad thing is that you’ve eaten like 10 of them before you realize you’ve eaten 10 of them. Whomp, whomp. Oooooooo, I love this idea! So pop-able! Right into my mouth! YUM!